At PayScale, we are committed to helping our customers understand market pay for any position and fostering better pay conversations with their organizations. It’s a mission, and we’ve seen the impact it can have on productivity, talent retention and company culture when employees and organizations have data-driven, transparent conversations around compensation. That’s why we’re so thrilled to be named one of the Best Software Companies for 2018 by our customers! 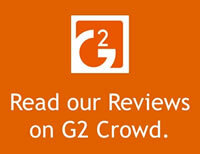 G2 Crowd, the world’s leading business software and services review platform, is powered by user reviews and helps more than 1 million buyers each month make informed purchasing decisions. PayScale was the only compensation software and services provider to make the G2 Crowd 2018 Best Software Companies list. PayScale was also featured on the Top 50 Mid-Market Software Companies list. We’d like to thank all of the PayScale customers who have taken time to write a review on G2 Crowd. Here’s just a sampling of why customers say they love using PayScale. From day one, PayScale has been a dream to work with. Easy to use and easy to implement products, have made my job easier. Manager buy in to using such a straight forward tool (CREW) [now called PayScale Team], and our ability to utilize PayScale’s Compensation SME’s to provide them with up to date market information has been invaluable. PayScale’s team is responsive and extremely knowledgeable, and was a very seamless business to business partnership right from the beginning. ~Lindsay S.
Since adopting PayScale, we now have the ability to provide greater transparency to our team about salary which has led to greater engagement. We’re also in the process of starting an office in Virginia, a region for which we don’t have any understanding of the salary market. Having PayScale is allowing us to set realistic and trustworthy budgets without having to talk to a consultant. ~Cindy L.
I love, love, love the support that my clients and I get from the PayScale team. Their customer service is first rate. The system itself is very user-friendly, but it’s great to have support when I have a question or need to upload a lot of employee information. ~Liz D.
Read more PayScale user reviews on G2 Crowd. 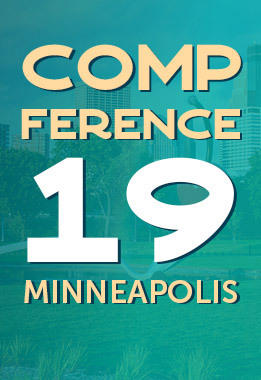 If you’re not a PayScale customer yet and want to learn more about how bringing pay forward in your organization can be a difference maker in terms of business success, we’d love to hear from you.